Jordana Brewster joined her husband last night(January 19th) at the 30th Annual Producers Guild Awards at The Beverly Hilton Hotel in Beverly Hills, CA. 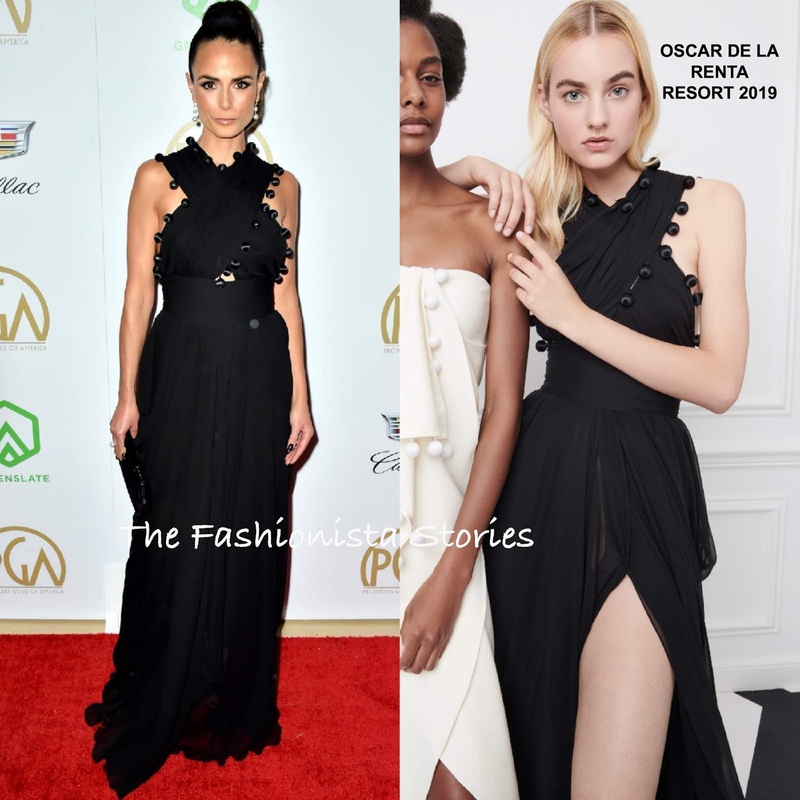 She posed on the red carpet wearing a OSCAR DE LA RENTA RESORT 2019 black draped pleated gown, featuring a crisscross key-hole bodice, which was adorned with pompom's and a cinched waist. So that her hair wouldn't take away from her detailed top, she wore her hair in a slick, pulled back wavy ponytail. IRENE NEUWIRTH earrings, a black clutch and minimal makeup finished up great look.